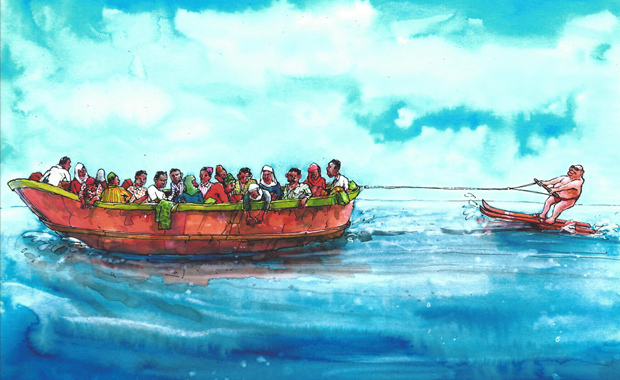 The United Nations / Ranan Lurie Political Cartoon Awards have opened entry for 2015, to once again award the best political cartoons reflecting the spirit and the principles of the United Nations. Eligible are entries by political cartoonists of print publications, electronic media, and on-line media, in any language. For this year’s competition, thirteen (13) awards will be granted, three (3) of which are monetary prizes and ten (1) are Honorable Mentions in the form of plaques. A total of $18,000 will be awarded to the best political cartoons. Submitted entries must represent work created from the beginning of September 2014, to 15th October 2015 and reflect the importance of human dignity, mutual respect and friendship among nations, as well as economic consideration and environmental responsibilities towards each other. The United Nations / Ranan Lurie Political Cartoon Awards have been established by the United Nations and named after political cartoonist Ranan Lurie. The competition has been held annually since 2005.